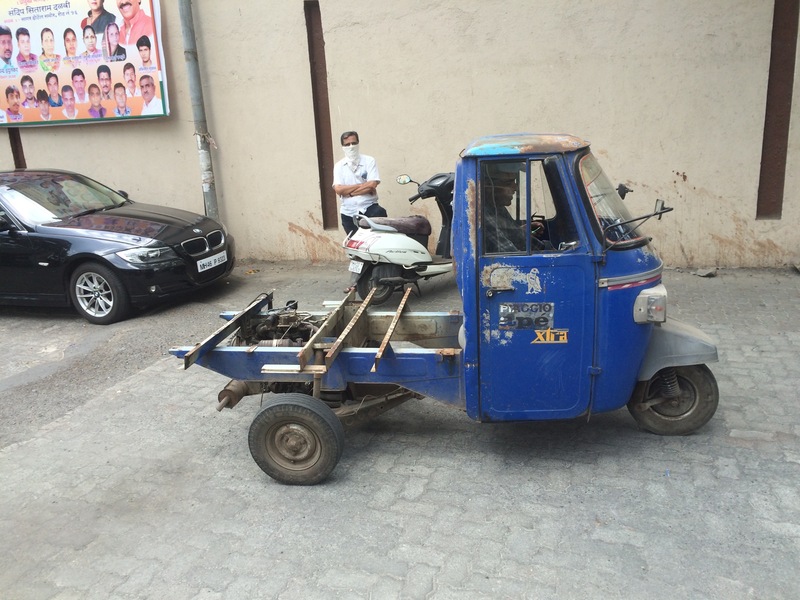 The goal of the Maker Auto was to bring the tools, materials, and most importantly the attitude of the maker movement to a greater audience in the city of Mumbai. 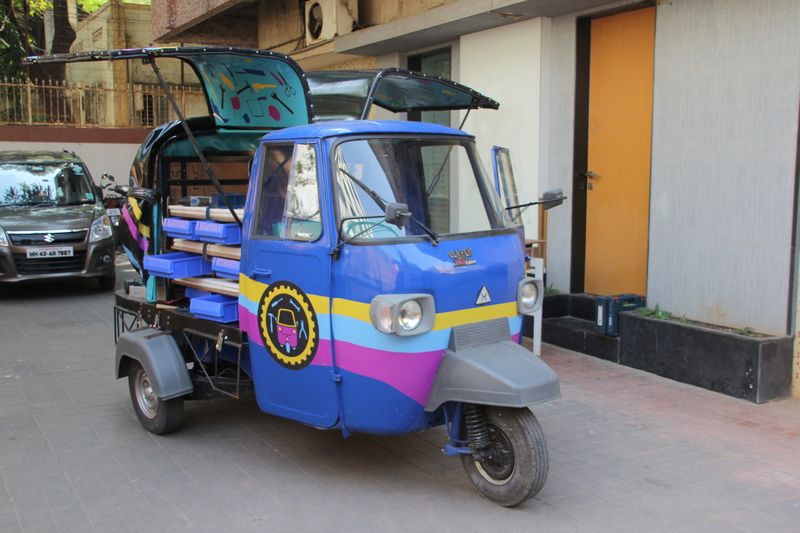 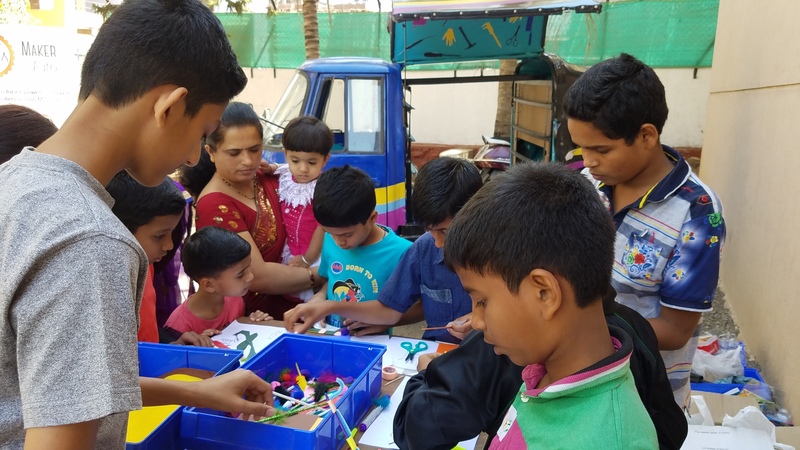 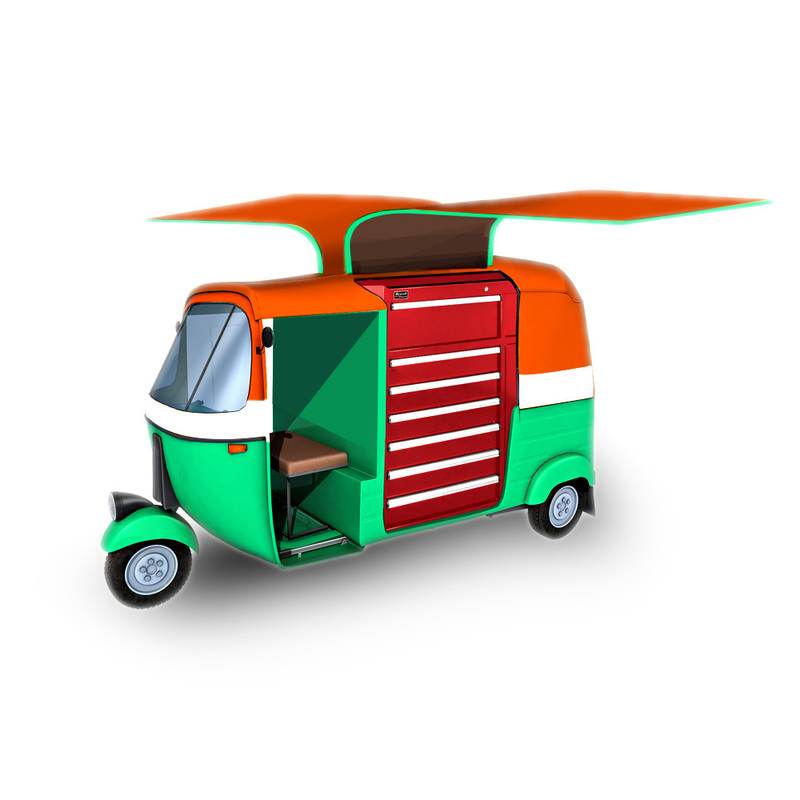 I worked with a small team of engineers, designers and educators based out of the India’s largest maker space, The Makers’ Asylum’ to convert a 3-wheeled auto rickshaw into a fully functional mobile workshop. 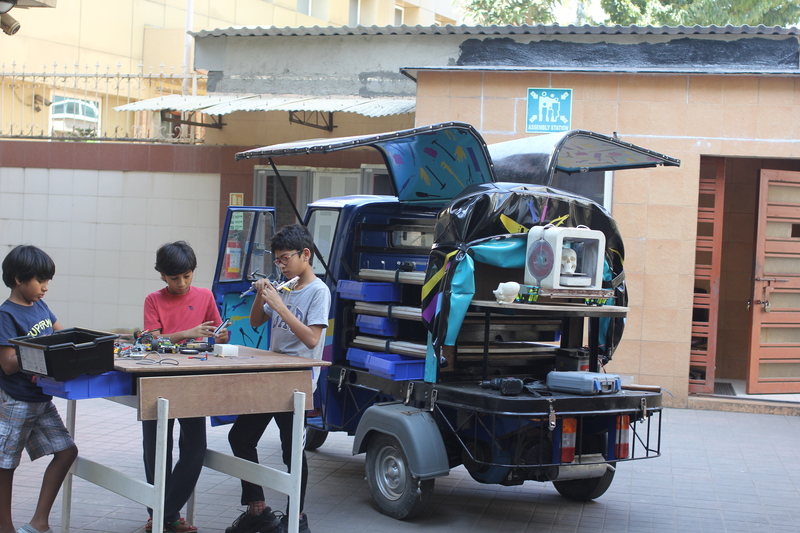 The rickshaw has a custom fabric-covered body and carries four folding work benches each equipped with woodworking, metal working, soldering and tinkering tools. 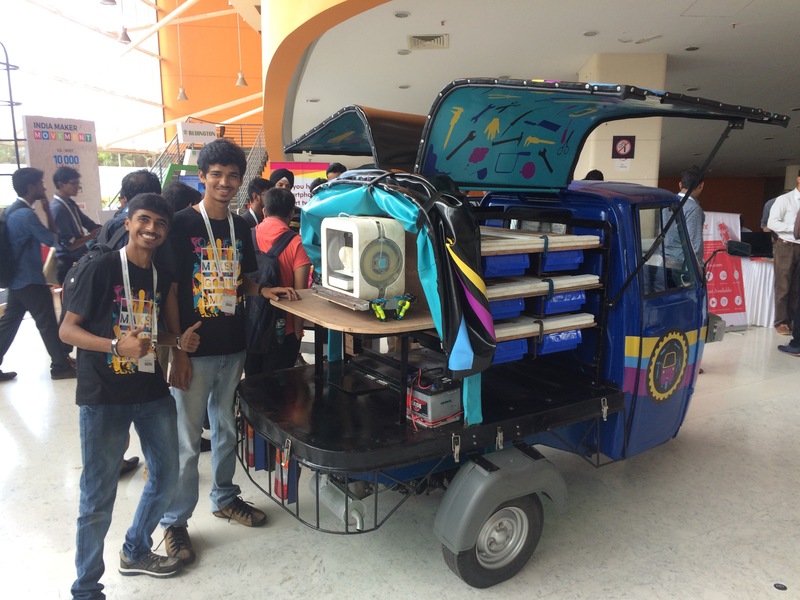 In the rear of the vehicle we have installed a small desktop 3D printer and plan to add a laser cutter and CNC machine in the near future. 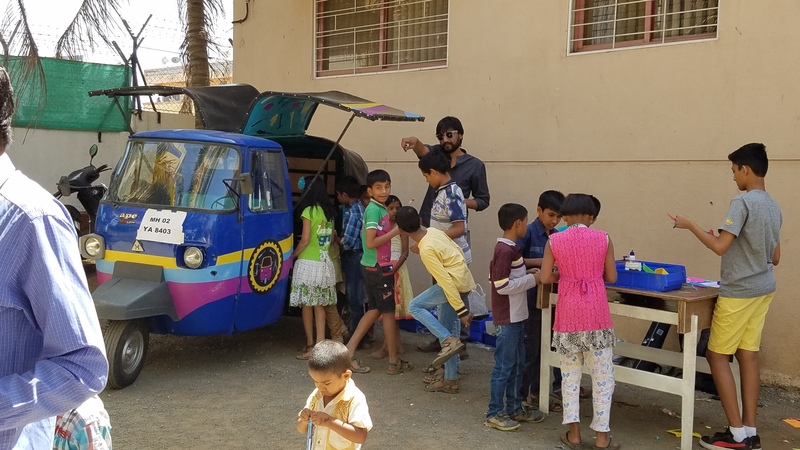 In addition to the physical build, we have also developed a wide spectrum of workshops, projects and classes to be conducted using the Make Auto as a platform. 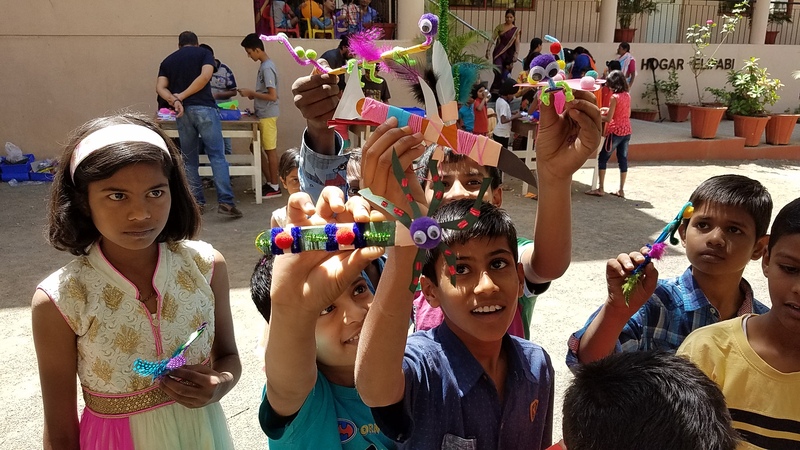 Kids at one of our workshops learning about design, craft and electronics.